Happy Monday kids, I hope your weekend was a good one. 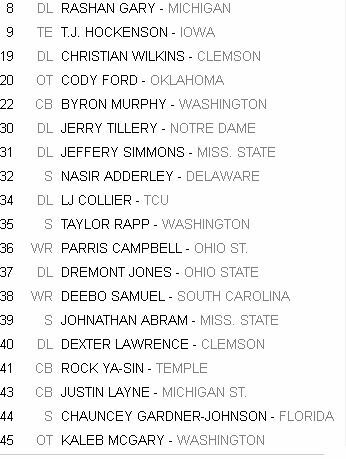 Not a whole lot of news on the Vikings front since our last mock. They’ve signed Adam Thielen to a nice extension, a couple of AAF players, and a backup QB, but overall, it’s nothing that should affect their draft strategy in any meaningful way. But if you are a person imbued with common sense, self-worth, and dignity and want to skip those, please do. No one will blame you; conversely, people might actually think better of you, if we’re being brutally honest here. I’m not a professional scout, coach, or GM. I am, however, a Professional Idiot. If you EVER get to the point where you think ‘man this guy is pretty sharp about drafting and stuff’ go back and read the previous sentence. Then talk to any member of my family, immediate or extended, and they’ll set you straight. My methodology is fairly straightforward. 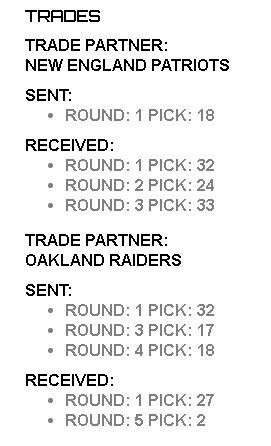 I’m using Fanspeak’s On The Clock deluxe, high falutin’ draft simulator, that allows me to make and receive trade offers. 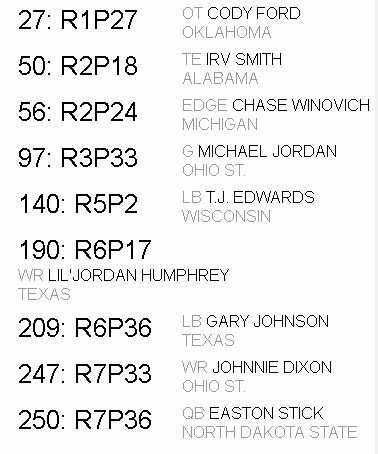 In the past, I said I would try to mimic GM Rick Spielman, but I think I’m just gonna be me for this one, as in ‘what would I like to see happen?’ I would like to see the Vikings trade down, if possible, and get a couple extra picks. 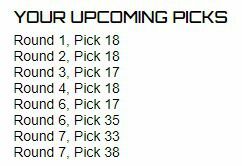 If the Vikings could get an extra day one or two pick by making a trade, I think it would help shore up both lines, and give them more top talent on the roster. 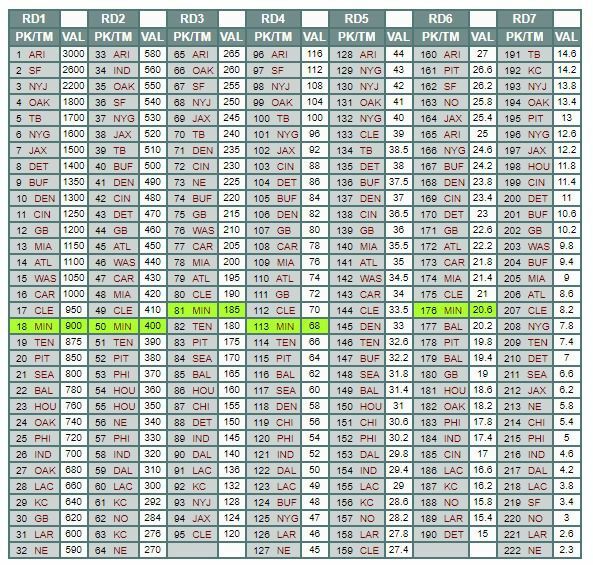 In setting up the draft variables, I chose to use the On The Clock Composite Big Board, just to change things up a bit. The computer is using multiple, as will be the case in real life, the setting is classic, and team needs are user voted. 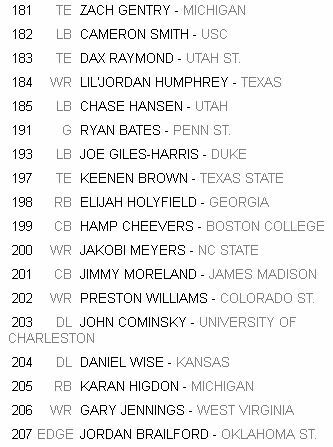 I’m going to be honest here: I’m half tempted to trade up with Denver to get in a position to draft Dwayne Haskins, and I’m not even kidding. But I don’t think he’d be there, so I’m going to turn that offer down. But that Patriots offer? 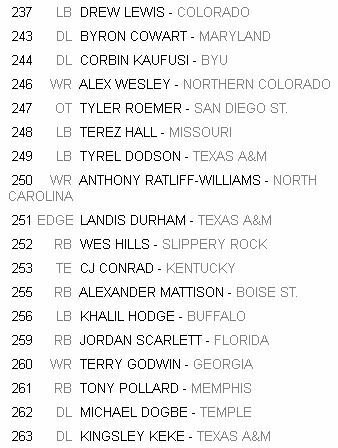 Kind of farther down than I’d like to go, but it’s still in the first round, and I get an extra second and third round pick. I accept the offer. Rationale: He’s the best offensive lineman for a team that desperately needs one. I’m not overthinking this one. Rationale: So here’s the deal. If you think Kyle Rudolph will be around 3-4 more years, and/or the TE’s currently on the roster can step up and start, then this is a dumb pick. However, if you think Rudy is gone in a season or two (he will be), and/or the guys behind him can’t step up (I don’t think they can), then Smith makes a ton of sense here. I like having a pass catching threat to go with Stefon Diggs and Thielen, without wasting a pick on a wide receiver. 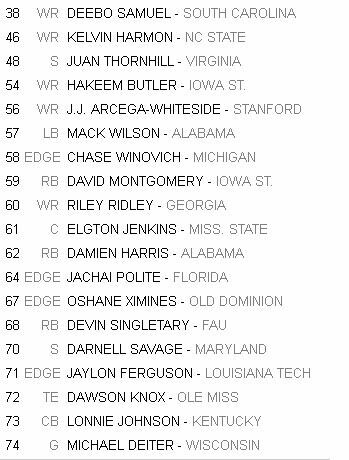 Rationale: For me, this pick was between either Winovich or Elgton Jenkins. WIth the moves the Vikings made in free agency, I think they have done more to address the offensive line than the defensive line, so I went with the defensive guy here. Rationale: Although I think the Vikings have addressed the o-line, and I got Cody Ford, are the guys they signed in free agency long term answers? Jordan is a player that can push for a starting job, or at least be a realistic option for immediate depth on the interior. 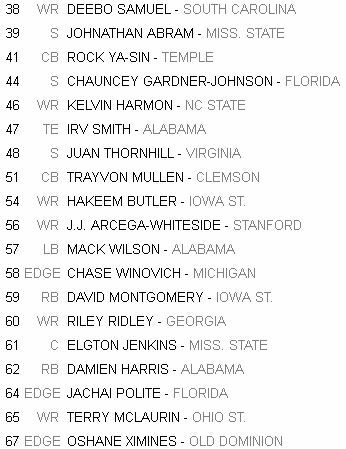 Rationale: The Vikings need linebacker depth, and as we head into the fifth round and later, grit becomes a big factor in these selections as well as talent and need. All Wisconsin recruits are football Nick Puntos, and Edwards is as Nick Punto-y as Nick Punto. 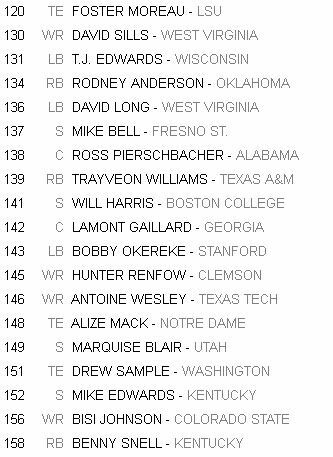 Rationale: The Vikings need a WR, but between Troy Williamson and Laquon Treadwell, I don’t want them to pick a WR earlier than here ever again in the draft. Wait, I’ll be okay with a fifth, as long as it is the clone of Stefon Diggs. As we get to the sixth round and later, we add to ‘grit’ with ‘dudes with cool or weird names’. Boom, done. Rationale: After several unsuccessful Presidential runs on the Libertarian ticket, the former governor of New Mexico will try to fulfill his childhood dream of playing in the NFL. Rationale: I literally picked the highest ranked OSU player left. And I like DIxon. Rationale: When Stick to Dixon becomes more mythical than Montana to Rice, remember you heard it here first. 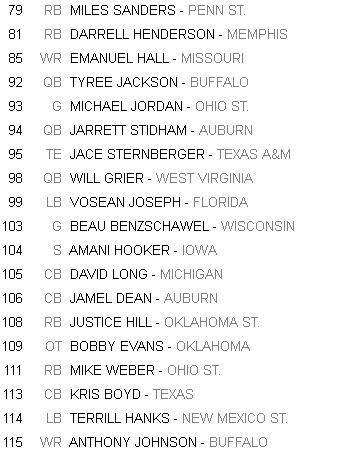 What grade would you give this mock draft? 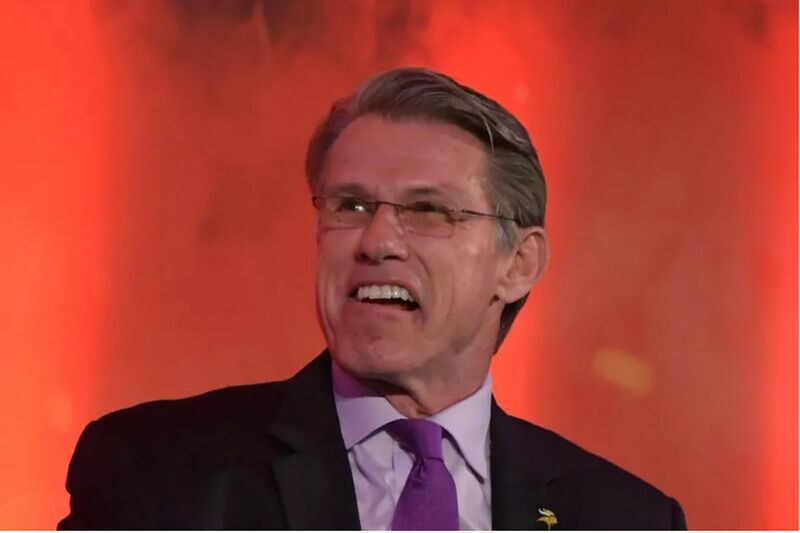 Does Rick Spielman have a conference bias? This Article has a component height of 109. The sidebar size is long.